Last weekend, I rode from Chennai to Bengaluru and back in my recently bought bike, Apache RTR160. This wasn't my longest drive. 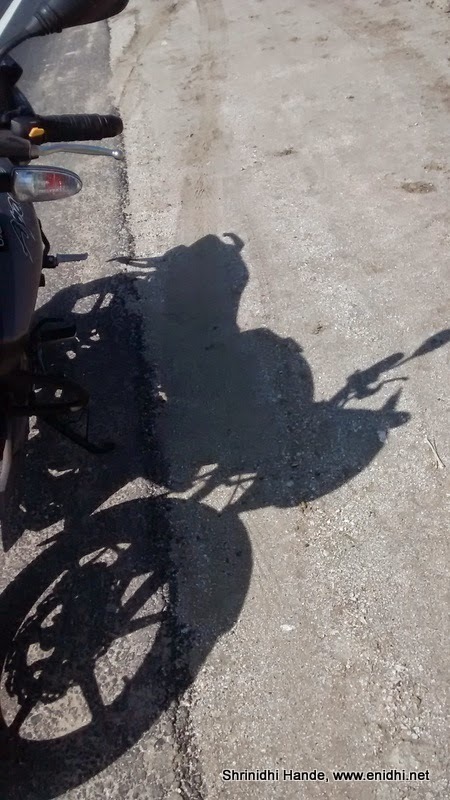 We had rode 2000 kms last year in Thailand [related posts here] and I'd ridden Chennai to blr and back 8 years ago in my earlier bike, a less powerful Bajaj Discover. Back then I didn't have an active blog or proper camera to capture and share the details. After first service, the impulse to ride long distance gave in and I set off for a quick ride. This post shares some photos and experiences from the ride. To reduce weight, I didn’t carry DSLR. Only mobile and GoPro. I had the suction mount with me and was thinking of recording some videos. But then, I asked myself a few questions- what will be unique about the video I am going to make? Is the bike unique? Is the road/destination unique? Am I shooting in any unique angle? The answers were No. I felt I might just end up shooting GBs worth of videos without any real value, hence didn’t take too many photos during the trip. Only made a sample video using GoPro and suction mount, which can be seen below. Some of the suction mounts are certified for speeds upto 160 kmph, but I wasn’t sure about this one. Drove till 80kmph with it and the suction mount held on perfectly. Was little skeptical to go faster, since the risk of losing the expensive camera was high. I need to find a way to attach the mount/camera to bike using some elastic rope, such that camera hangs on to the bike in case suction mount fails. This way I can try little faster ride without fearing loss of camera. Also I think it is time automobile designers start provisioning some flat surfaces on the bikes and cars, so as to fit suction mount easily. On Apache I could mount on the side of petrol tank, but it wasn't very convenient as I had to keep my foot away from the camera. 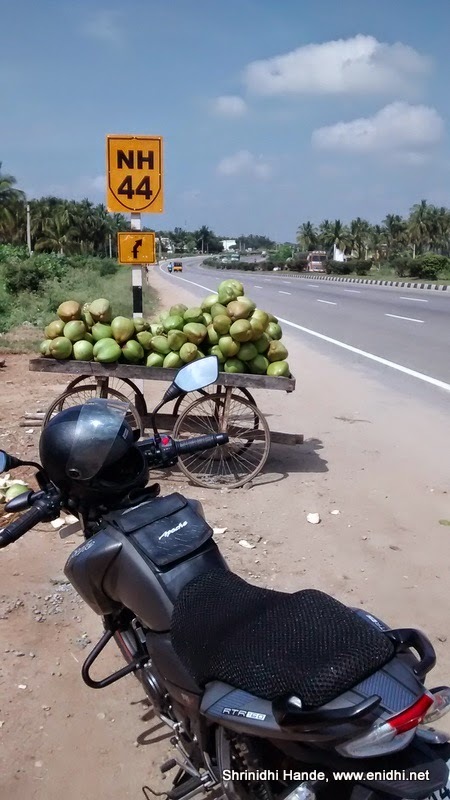 Took Vellore- Krishnagiri- Hosur route while going and took Kolar-Chittoor-Ranigunta road while returning. 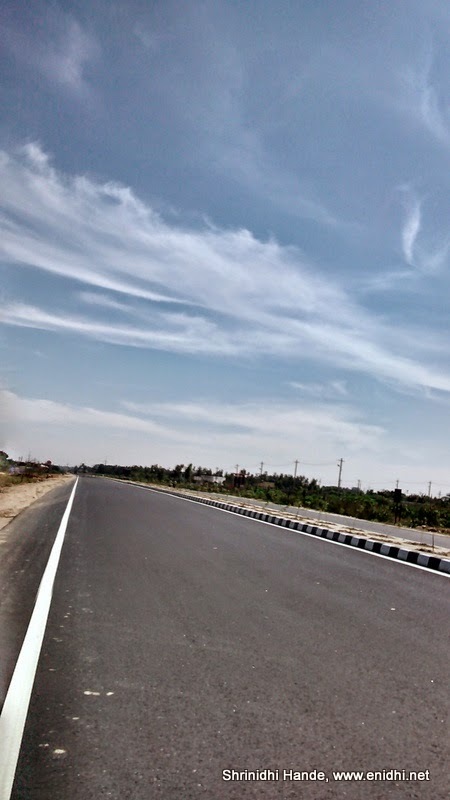 Va Kolar is about 30 kms shorter, but has narrow 2-lane road for close to 150kms. First 100kms from Chennai roads are very bad. Petrol prices were cheapest in Sriperambadur area and got expensive as we went away from city. Essentially I spent fuel worth about Rs 1500 for 835km trip, that is about 22 litres or about Rs 1.8 per km. Comparatively, for 2 people, a round trip in sleeper class train would have costed Rs 1100, in KSRTC AC Volvo bus or Shatabdi about Rs 2800. If I had maintained an average speed of 50-60, cost would have been around Rs 1100, but that would have taken few more hours to reach the destination. 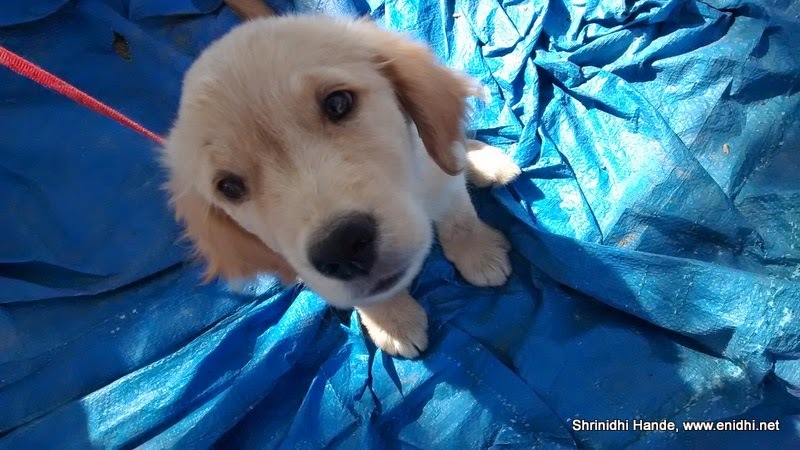 Took about 7.5 hours for the return journey, via Chittoor. Lots of tender coconut all along the way, for about Rs 20, half of what it costs in Chennai. Onward journey, held during morning half was smooth as there was no cross wind. But during the return trip, heavy cross winds threatened to blow off the bike. Had to slow down and be extra cautious. Also the heavily tolled road is not really smooth. Lots of patches and pot holes all along can easily destabilize a bike in high speed. Relatives scolded for coming in bike instead of taking bus or train. Because of bike I had to ride in the day, so I got less time in Bengaluru, but that is fine once in a while. 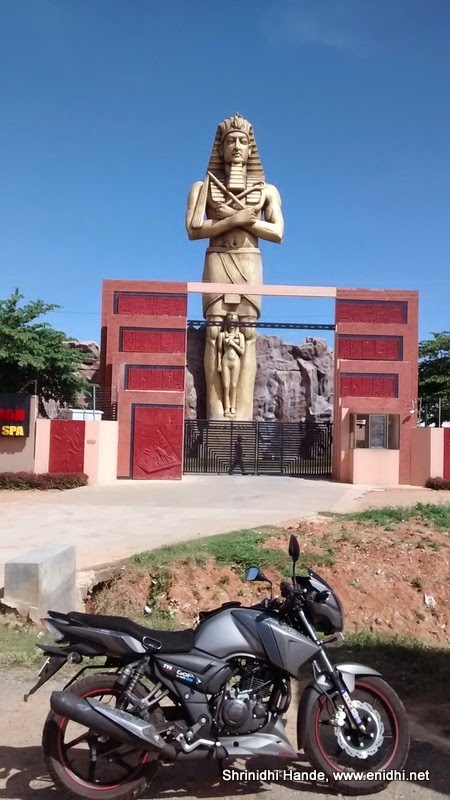 That is a strange Egyptian statue built randomly on the side of a highway. Odd choice of location. The lovely road is a definitely a tempting invite. What great shots - love that first one. Love the sky in the shot you chose for your thumbnail! A gorgeous sky to ride under. You were born to ride....and take pictures. Nice job!